Stringspiration! 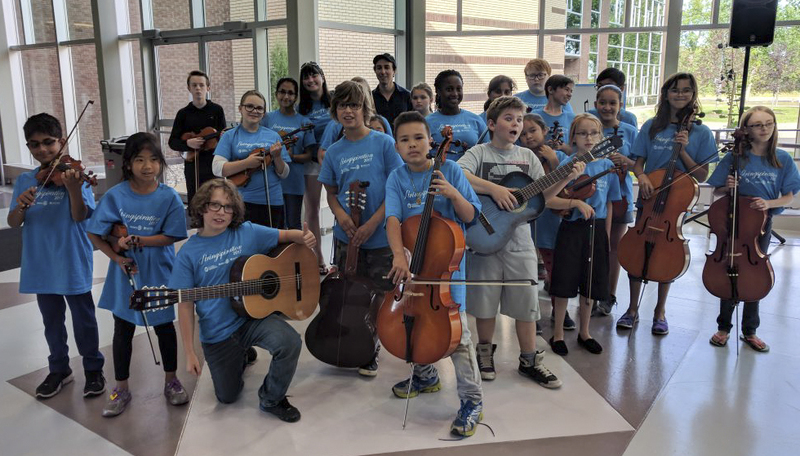 a full day Summer String Camp at Concordia, is designed to provide a top-quality, affordable summer training option for novice to advanced string players in violin, viola, cello, bass, and guitar. Masterclasses, Chamber Ensembles, Composition, Musicianship & Aural Training, Performance opportunities, fun outdoor games, and more! TUITION: Early Bird $260 (received by June 30, 2018). Full tuition rate: $300. Easy online registration and payment options through Eventbrite. Registration is now open. Please also complete this Stringspiration Information Form. Apply here for Stringspiration scholarships. The application deadline is 9:00pm, Thursday, June 28, 2018. For the latest news, follow us on Facebook.